By all accounts, Titan Souls is a game I should like because it blends the punishing difficulty of a From Software game in a beautiful and mysterious world occupied by monsters inspired by Shadow of the Colossus. 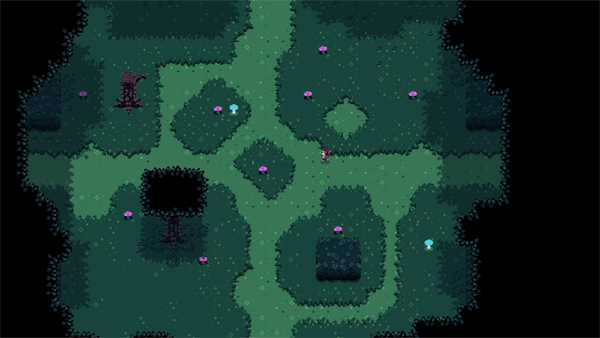 The product of a game jam, Titan Souls challenges the player to explore a world devoid of grunt enemies, but home to a series mammoth creatures capable of killing the hero in one hit. Armed with a bow and a single arrow, the hero must study and analyze these creatures and strike at the right opportunity. On the surface, Titan Souls is a great idea. After spending an hour trying to take out one boss, that tune quickly changed. Presented from a top down perspective, there is very little story to speak of. A diminutive pixellated hero is teleported to a strange land and given a bow and arrow to fight incredible beasts in order to consume their souls. A task far easier said than done! The act of taking out a boss is a lesson in tedium despite the ease of which bosses are defeated - you only have to hit their weak spot once. That weakness goes both ways as the hero also dies in one hit. Each defeat sends the character back to a checkpoint where he must trek back to the boss room and try again, hoping to survive long enough to identify attack patterns and launch the single shot necessary to bring them down. Bosses are equipped with a respectable repertoire of attacks but the hero is limited to his meager bow and arrow. To make the situation all the more pitiful, the hero must physically retrieve the missile wherever it goes. He does have the ability to use the Force and summon it back, a process that leaves him completely defenseless. Titan Souls fails to meet the grandeur and sense of wonder it obviously tries to mimic from Shadow of the Colossus because of the punishing nature of the boss encounters. Where the PlayStation 2 game offered the freedom to study each beast and puzzle out its weak spot while analyzing movements and attack patterns, Titan Souls barely grants the time to breath. Many of the titans move so fast erratic that you’re often dead before you realized what happened. Like the Soulsseries, death is an opportunity to learn from mistakes and understand what makes these creatures tick. However, death is perhaps too swift and because the monsters move significantly faster than the player character, it can get very hard to glean the best opportunities to fire off a shot. From Software games afford a feeling of satisfaction and accomplishment after breaking through its numerous walls and hurdles. Bosses are capable of killing the player in one hit, just like Titan Souls, but there are opportunities to defend and overcome against such attacks. Farming souls to level up, locating new weapons, learning effective hit and run strategies, and cheesing things a bit are tools that make its infamous difficulty merely a matter of perspective. Titan Souls offers no such empowerment. The one hit kill penalty feels considerably harsh because boss attacks are incredibly fast, cheap, and unfair. Unless someone actively consults a walkthrough, defeating bosses requires a great deal of repetitive and unfulfilling trial and error. Where the Souls games break down the player in order to mold them into warriors, Titan Souls instead throws the player directly to the lions. Because each boss is essentially a puzzle waiting to be figured out, the initial encounters are an awkward dance of evading a flurry of attacks in order to locate weak points and seek out windows of opportunity. The game purposefully stacks the odds against the player’s favor. To achieve the maximum shooting range of the hero’s arrow the attack takes about a second to fully charge, an action that leaves you completely defenseless. Taking down a boss means locating and striking weak points so small that the amount of precision needed feels decidedly out of place in a game chock full of aggressively fast antagonists. The tedium of constant death is worsened by the long, lifeless treks back to each boss arena. Given enough attempts and a great deal of blind luck, the beasts that call this land home can be defeated. Such victories left me hollow. I didn’t experience the same fist pumping exhilaration with bosses like the Blood Starved Beast or Gravelord Nito. Instead, I was happy that the grueling trial was over. That is, until you have to do it all over again for the next boss. This realization was so arresting that I decided to stop playing. Getting past the first four bosses alone took well over an hour and after dabbling with those in the next area, I walked away in favor of avoiding additional stress and controller throwing frustration. Naturally, your experience may vary. 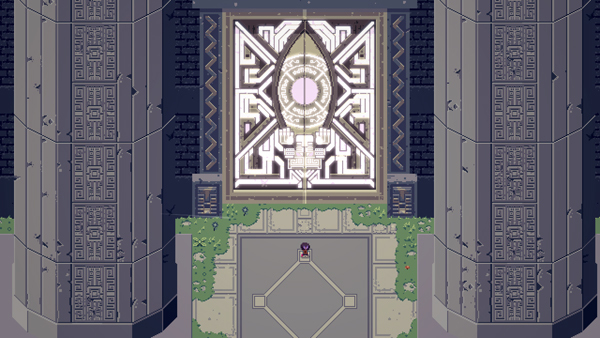 Titan Souls requires a great deal of patience and super fast reflexes to enjoy. As someone getting older, my ability to adapt to twitch gameplay is not as good as it used to be, which makes the boss battles not much fun. The game has a great soundtrack, but its soothing tones were not enough to calm my frayed nerves. In fact, having to listen to the same battle music for every boss attempt only added to my overall displeasure. Light Tracer had a lot of promise. Playing as a faceless, nameless, and voiceless guardian angel of sorts, you use a magic wand to guide a diminutive princess as she climbs the mystical Tower of Bellbatis to commune with the gods. It’s 1986 and the summer vacation has just started in a small town of Tajinga, somewhere in the conceptual North America. Teenage boy Chris is eager to meet up with his friends and spend the sunny days equally frolicking and slacking. There’s a change in the plans when his kid brother Kevin informs him via walkie-talkie that he has found something super exciting that Chris & co. must immediately see.